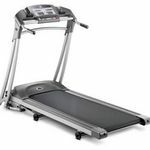 The Proform Crosswalk 425 treadmill has two features that make it worthwhile. First, if you just want a treadmill to walk on this one works well. I can adjust the speed very easily and this is helpful during the workout. So I can go from faster to slower to faster again which is the best for losing weight and toning. Additionally, you can adjust the incline. So if you want to just walk like you are on a straight road you can do that. But if you want to get used to hills or stair climbing, you can adjust the incline to a small degree and all the way up to a huge incline. The feature, however, that I appreciate the most is the adjustable walking arms. While on the Proform Crosswalk treadmill, I can not only walk on the treadmill as usual but at the same time I can use the adjustable arms to work on that pesky flab on the underarms. The motion of the arms while walking is a really good workout and it is very easy to use with this equipment. You do need to silicone the belt frequently. For someone just starting out in the world of exercise, the Proform Crosswalk 425 Treadmill is a great value and delivers what it promises. I've been using this treadmill for several months now and have had no problems with it. I love how easily it adjusts to the changes is speed and incline that I make while walking. Before investing a large sum of money in something that might sit and gather dust, I'm pleased I went this route. I purchased this treadmill preassembled and also had it delivered, so I can't speak for the ease of assembly or weight of getting it down to my exercise room in my basement. As for space, it folds up nicely, so no complaints with that. This treadmill is serving me well. I got this treadmill because I wanted to work out in the priavcy of my own home and didn't have a lot of money to spend on a high end treadmill. I have not been disappointed in the least bit in the quality and preformance of this machine! I am a bigger girl, so I am pleased with the sturdiness of it, I don't feel like it's going to fall apart or that I'm going to break it. 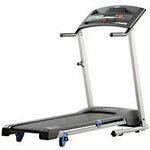 It has an adjustable incline to increase the intensity of your workout as well as ski-pole type things to incoorporate an upper body workout while you walk. The treadmill has two built in "workout" routines, which I have never utilized because they are too intense for my workout skill level, but I'm happy walking on it at 3-4 mph at my own pace. It has plenty of room to set a beverage or book or whatever else you may need while working out. It also has a heart rate monitor, which seems to be pretty accurate. There are a few different displays you can have on the screen depending on what you want to look at (distance/time/calories burned), also. Overall, I would definitely recommend this treadmill if you're not a workout pro and just want something to use at home without spending a ton of money. 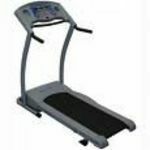 Don't let those other "Treadmill Review Sites" lead you to believe that Pro-Form treadmills are not a quality products. I purchased the Pro-Form Crosswalk 425 just over six months ago and have been very pleased with its quality, reliability, and durability for the price. 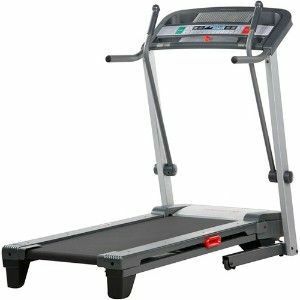 I use the treadmill mainly for brisk walking three to four days per week, but I also jog for short distances and have found the treadmill to be plenty durable for this type of use. Below are a few notes that I have to offer during my use of this product. The noise level of the treadmill is at a very acceptable level. You can easily listen to your I-pod without having to max out the volume. The motor is plenty powerful to get you walking / jogging at a comfortable pace. I do not have any complaints on the speed capability of this machine. The incline feature works quite nicely. It is amazing that a slight change in incline can make your workout that much tougher. 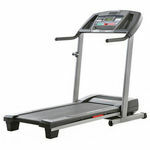 When I first saw the treadmill, I did not like the Crosswalk arms so I was a little hesitant in purchasing it. However, after using the treadmill for awhile I have become quite accustomed to them and find that they enhance my overall workout. Assembly is a little tedious, but take your time and make sure that you have a second person to assist and you should be up and running in no time. Overall I am very pleased with the overall quality, function, and price of this treadmill. The Pro-Form Crosswalk 425 gets two thumbs up from me.